Meet Singapore’s First Wearable Bank — DBS PayLah! DBS, one of Singapore’s main banks known for fronting many interesting banking innovations, has something new up its sleeve. Literally. The bank has just made its PayLah! 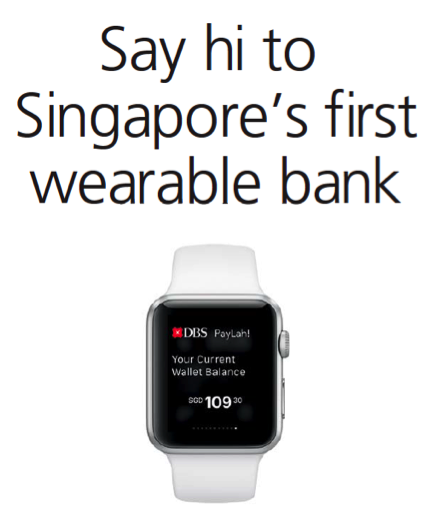 app available on the latest Singapore gadget sensation — the Apple Watch — making it Singapore’s first “wearable bank”. For those unfamiliar with DBS PayLah!, it is a mobile payment app which allows users to easily make transactions with one another through the platform, whether you are a DBS or non-DBS user. This can be done after you sync the PayLah! app with your bank account. Funds can then be added into the PayLah! account and you can start making transactions on the go. One of the many things we like about the PayLah! app is that you can log into it using your Apple Touch ID, which means you don’t have to enter your password every time you need to use it. If you wish to make a fund transfer, you simply need a mobile number, which is tied to your PayLah! account when you sign up for the first time. Splitting a bill with your friend? Another feature that we like about PayLah! is that transactions can be made faster and easier than asking your friends to pay via iBanking. Settle the check on the spot via PayLah! by sending and receiving payments through your mobile number. With PayLah! on the Apple Watch, you can now use it to receive transaction notifications and view available balances. For security matters, you will still need to use the PayLah! app on your smartphone to make transactions. Users do not need to download a separate app from iTunes for the Apple Watch — simply sync the app to the watch via Bluetooth, and enable PayLah! in the watch settings. As PayLah! 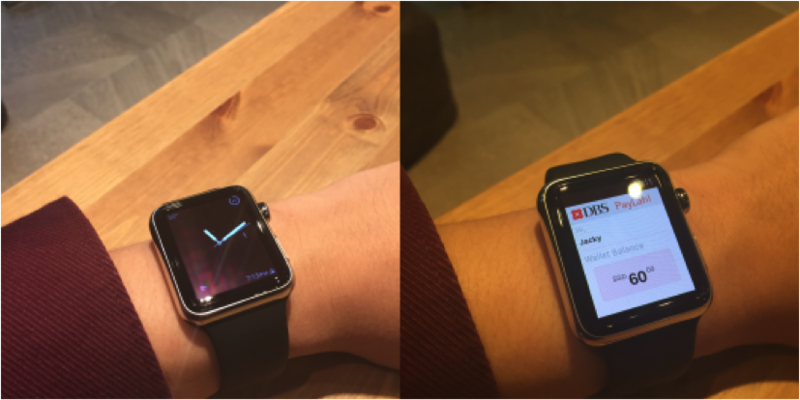 users, we managed to sync the app with the Apple Watch and gave it a spin. Navigating it was simple, and it gives a great overview of the amount of funds you have in your account. However, users will need to login at least once on the iPhone first before the watch can receive information on the account balance. The Apple Watch app will only receive notifications when the iPhone is locked and the watch is in active state. One of the things we wished we could do was to be able to make transactions through the PayLah! app on the watch itself. According to DBS, the team is currently looking into extending the functionality of the app on the watch to include the sending of money and the ability to approve requests for funds. To celebrate the launch of Singapore’s first “wearable bank”, DBS is holding a Facebook contest to give away the highly desired Apple Watch exclusively to all PayLah! users. All you have to do is tell DBS why you love PayLah! From the looks of all the submissions, it seems like a lot of people are excited to get their hands on the new Apple Watch!